Businesses are leaving themselves exposed to legal risks because they are taking a relaxed approach to social media. Recent employment tribunal cases have shown that employers can run into difficulties because their firms lack formal guidelines on social media. “The biggest mistake is not having a social media policy in place at all,” said Kathryn Dooks, partner at law firm Kemp Little, in an interview with Computer Weekly. Even when employers have policies in place, companies can run into difficulties if the wording is vague or unclear. 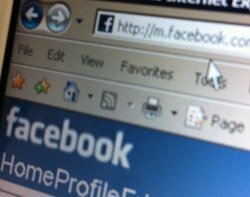 One property company, for example, lost a tribunal case after it dismissed two employees for using Facebook excessively during working hours. Mitie Property Services had a social media policy that allowed staff to use social media at work outside their core working hours. But it lost the case because the policy did not make it clear what the company meant by “core working hours”. Similarly, tribunals are likely to take a dim view of companies that over-react to staff’s comments on social media. Firing an employee for making comments that are little more than mildly offensive, for example, is likely to leave an employer open to a tribunal claim. One employee, for example, won compensation from her employer after she was fired for making comments on Facebook after a bad day in the office. The comments, which were posted outside of work hours, were visible to 50 friends on Facebook, including some work colleagues. But the company was forced to pay more than £12,000 in compensation, after the tribunal ruled that the comments were relatively mild and did not justify her losing her job. Employers have a stronger case when employees actively malign their employers. In Italy, for example, an employee who worked in a restaurant lost his job after publishing a comment suggesting that dog food was better than the food served by his employer. And Apple was vindicated by a tribunal when it dismissed an employee for making derogatory comments about the firm's MobileMe service. The service was meant to ensure that people’s alarm goes off at the correct time when they change time zones, but the employee was less than impressed. Although the employee claimed his right to freedom of expression under the European Convention of Human Rights, the tribunal said his dismissal was legitimate. Do employers have social media control? In another case, a hapless employee in Italy lost his job after inadvertently posting a photograph containing company secrets on Facebook. The photo contained a noticeboard in the background, pinned to which were confidential details of an important project. Cases such as these show that companies need to think seriously about how they use social media, said Dooks. However, a social media policy alone is not enough. Educating employees to use social media properly is vital, particularly when staff use their own devices at work. People can use their smartphones in work during the day, then be out in the pub chatting to their friends in the evening. “It can be quite easy for employees to be locked on one mode rather than the other, and perhaps put something inappropriate out on social media,” said Dooks. The need for clear social media guidelines has been given renewed impetus by the trend for staff to use their own laptops and phones at work. “If you suspect wrongdoing in circumstances where employees are bringing in their own devices, its much more difficult to take action,” she said.